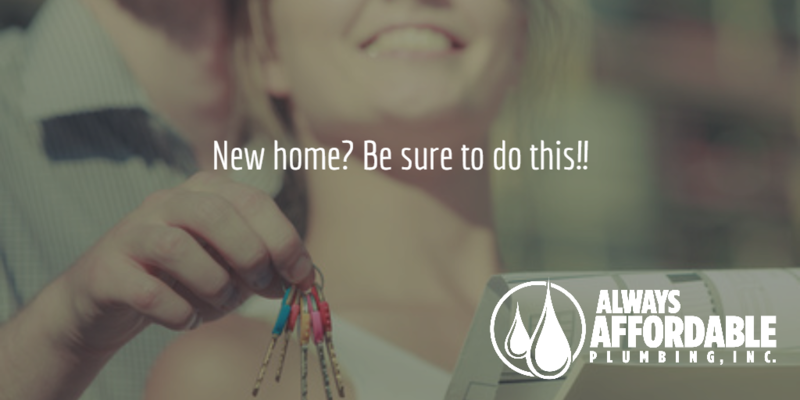 A Free Home Plumbing Inspection Can Save You Serious Money! Have you recently bought a home? If so, congratulations! What a great way to lead into the Holiday season! Now, you probably had a home inspection done, and maybe even have a home warranty. Great! Those are all important and smart things in order to make sure that your new home does not have any major issues. 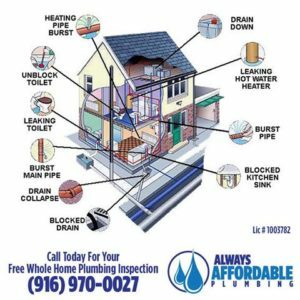 One more simple thing you can do to help prevent any surprise expenses is get a FREE HOME PLUMBING INSPECTION with Always Affordable Plumbing. We are your Sacramento area plumber that is helping people keep the water running, so to speak. A home plumbing inspection can save you money, and save you a major headache, by identifying potential issues before they become a problem. Our Home Plumbing Inspection is super easy, and super affordable: FREE! This service is 100% free, and 100% NO OBLIGATION. Our technicians are not there to up-sell you on a repair, or scare you into repairs. What our report does is give you peace of mind, as well as give you a heads up if we find any major or looming issues with your plumbing. If there are any problems, you can take that report to a different company if you want, or send it in to your home warranty company, or we can handle it for you, of course. If you need a Sacramento plumber, call AAP. Whether you need a FREE Home Plumbing Inspection, emergency 24-hour plumbing services, a sewer line replaced, or a leaky faucet fixed, Always Affordable Plumbing is here for you. Service, quality, and affordability for our customers always comes first. Call today to schedule your appointment!